When you're on the road checking out the state of Victoria, get to the state capital, Melbourne. 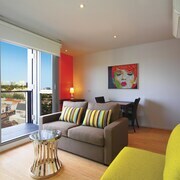 Situated 4 kilometres southeast of the heart of the city, visitors can come across the exciting area of Chapel Street. The Crown Casino and Entertainment Complex, Federation Square and St. Kilda Beach are just some of the rich iconic attractions that Melbourne lays claim to. The Royal Botanic Gardens and Luna Park are highlights in the area surrounding Chapel Street. Experience the cultural beliefs of the community by going to Shrine of Remembrance. The Grand Hyatt Melbourne and The Westin Melbourne are ideal if you want to kick your feet up nearby. Uncover the stories of years gone by when you walk the corridors of Como Historic House and Garden. If this site is more your thing, consider The Lyall Hotel and Spa and Quest Jolimont. From time to time you have to treat yourself! 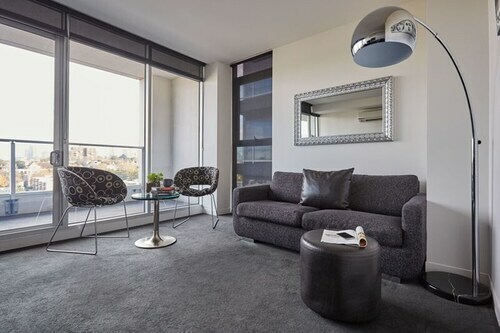 Look into booking one of the Amity South Yarra Apartments and Quest Prahran, a couple of the more upmarket places to stay in Chapel Street. Can't face the day without a morning coffee? You'll be glad to know Chapel Street boasts some enticing cafes. Gallery 324 (Pizza & Pasta Bar) is a local favourite, offering a mouthwatering range of steamy drinks and cakes. Once the caffeine wears off and your stomach starts craving some heartier fare, head on over to Jai Ho Indian Restaurant - Richmond. This popular establishment dishes up some seriously delicious food. If you wouldn't turn down a couple of cold ones before calling it a night, why not stop by Rydges St Kilda? Who knows, the bartender may even be able to give you some tips on what to do tomorrow! 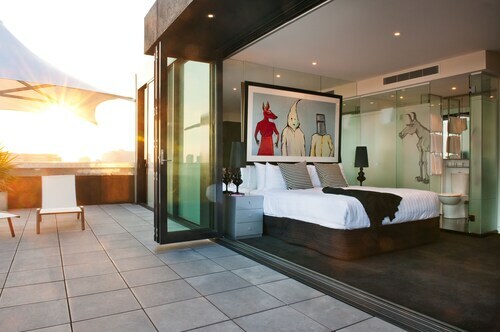 If you cannot find the right Chapel Street hotel room, check out the accommodations in South Yarra and South Yarra - Prahran. From flights to accommodation, activities to car hire, we're here to make your Chapel Street daydreams happen! How Much is a Hotel Room in Chapel Street? Hotels in Chapel Street start at AU$122 per night. Prices and availability subject to change. Additional terms may apply.